Thick N Sassy hold the largest plus size fashion show in Texas. We are 5 years strong with a following ranging from but not limited to 300 guest per fashion show. 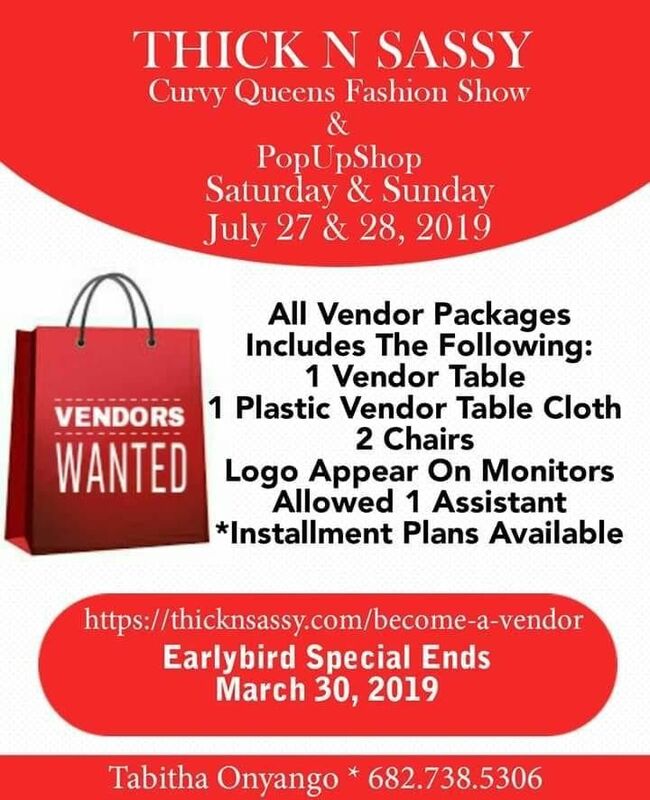 Brand your company and generate new business by selling your designs and products at our Thick N Sassy Curvy Queen Fashion Show and PopUp Shop. 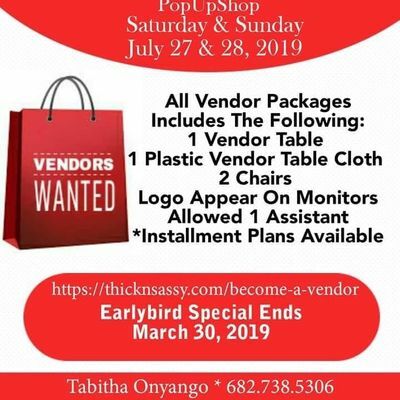 The Thick N Sassy Fashion Festival is designed to provide opportunities for exhibition of products and services to be marketed to our guests and to small business owners, entrepreneurs, and professionals.